30 years ago Amblin released a couple of nice films, that were successful on very different levels. Since the years has only just begun, we won't dig into all the titles just yet, but today we kick of with the 30th anniversary of Fandango. 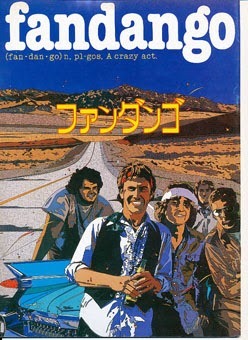 Fandango has some similarities with Road Trip, a comedy that was released by DreamWorks years later. 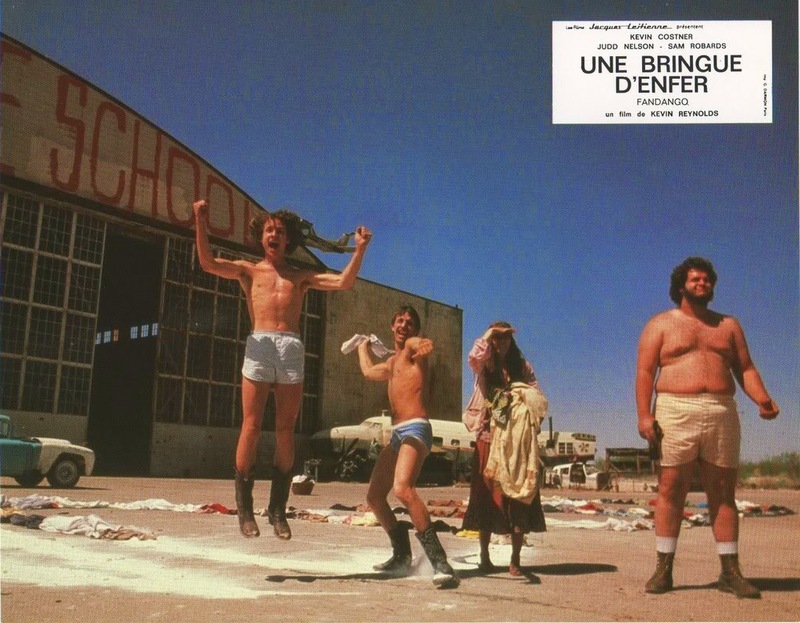 Both films deal with a bunch of students who embark on a road trip through the US, but whereas the reason in Road trip is to retrieve a videotape, in Fandango the friends want to find out what life has to offer them, before facing up to uncertain futures in Vietnam (the film is placed around 1971) and otherwise. 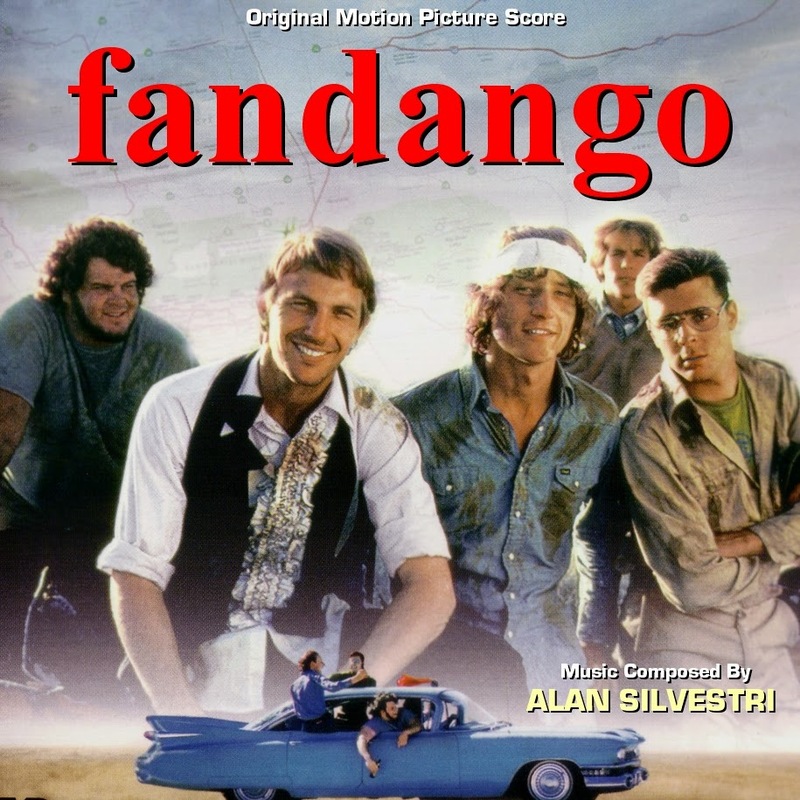 Both the director, Kevin Reynolds, and two of it's main stars, Kevin Costner and Judd Hirsch, were fairly unknown when Fandango was filmed. Reynolds was chosen by Steven Spielberg himself, when he had seen a short student film, based on a real life sky-dive, Reynolds had directed while on USC film school. Until then he mostly known for working on a script for the actioner Red Dawn (a feat he repeated for the remake in 2012), made his debut as a director for feature films with Fandango and went on with big budget actioners as Robin Hood: Prince of Thieves and Waterworld, both starring the aforementioned Kevin Costner. Costner broadened his horizon even tried directing (Dances with Wolves), but mostly starred in high profile films such as The Untouchables, The Bodyguard and Wyatt Earp. 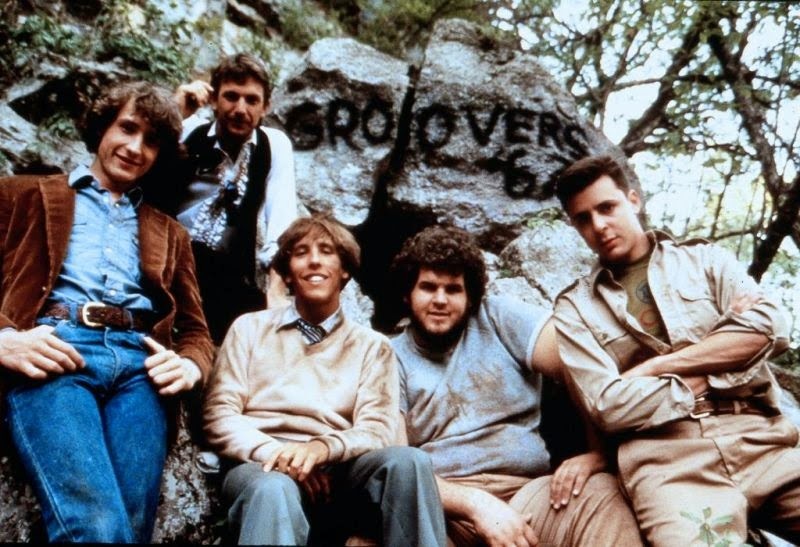 Judd Nelson hit it big in 1985 with box office hits like The Breakfast Club and St. Elmo's Fire. Fandango also marks the first time Alan Silvestri composed music for an Amblin Entertainment production. 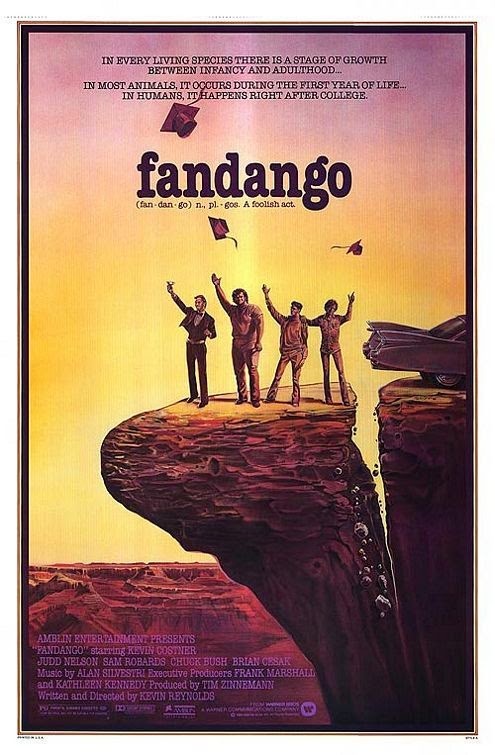 When Spielberg saw the the finished film however, he felt disappointed, so much that he decided to take his name of the poster, so instead of a Steven Spielberg presents, Fandango entered the world (merely) as an Amblin presentation.